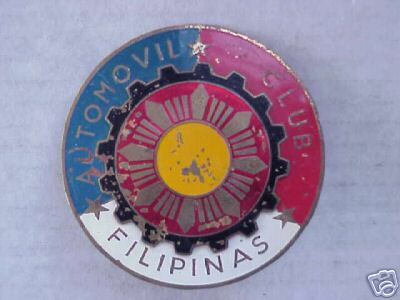 I have a few car badges from the Philippines but am interested in 1 in particular - "Automovil Club Filipinas." I would be willing to trade or purchase one of these badges if anyone has one or knows of someone who has one please caontact me. I have a large license plate collection from Australia, the Philippines, and California to make possible trades from as well.